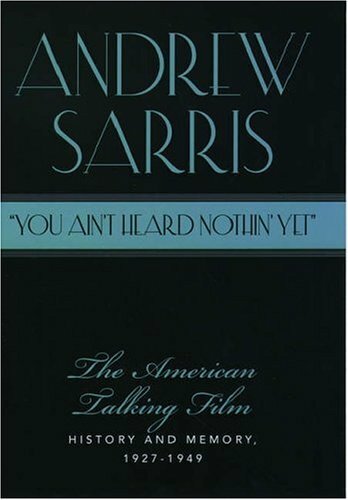 Andrew Sarris has long been one of America's most celebrated writers on film, author of the seminal work The American Cinema, and for decades a highly regarded critic, first for The Village Voice and more recently for The New York Observer. Now comes Sarris's definitive statement on film, in a masterwork that has taken 25 years to complete. 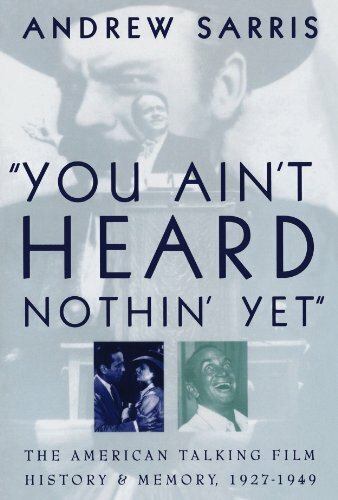 Here is a sweeping―and highly personal―history of American film, from the birth of the talkies (beginning with The Jazz Singer and Al Jolson's memorable line "You ain't heard nothin' yet") to the decline of the studio system. By far the largest section of the book celebrates the work of the great American film directors, with giants such as John Ford, Alfred Hitchcock, Charlie Chaplin, Orson Welles, and Howard Hawks examined film by film. Sarris also offers glowing portraits of major stars, from Garbo and Bogart to Ingrid Bergman, Margaret Sullavan, Spencer Tracy, Katharine Hepburn, Clark Gable, and Carole Lombard. There is a tour of the studios―Metro, Paramount, RKO, Warner Brothers, 20th Century Fox, Universal―revealing how each left its own particular stamp on film. And in perhaps the most interesting and original section, we are treated to an informative look at film genres―the musical, the screwball comedy, the horror picture, the gangster film, and the western. A lifetime of watching and thinking about cinema has gone into this book. It is the history that film buffs have been waiting for.